Hey Michael Church here and this video I'm gonna discuss basement waterproofing in Knoxville and some ways that you can do interior waterproofing whether it’s a do it yourself project or whether you're going to hire an outside contractor to do this for you. Here is some tips and some information you might wanna know whenever you're thinking about a basement waterproofing project from the inside. There's also waterproofing on the outside but we're not gonna talk about right now, but exterior waterproofing is also very popular. But this video is going to cover interior basement waterproofing in Knoxville and some of the things you need to know about so stay tuned! Ok, now whenever you're starting a new project the reason that your basement is flooding is because of water is coming through the block or the concrete walls, so I would encourage you to look at the outside and make sure that the downspouts and the ground is sloped away from the foundation and things like that. These are good preventive measures that you can do to ensure that you keep as much water off the foundation as possible. The older the home though, a lot of times, those foundations drains have become clogged or perhaps they were installed improperly. So if they're not moving that deep water away from the foundation near the flatter than that can be a source of water coming in either under the slab or through the concrete walls. So you can't really do anything about that unless your gonna dig down on the exterior and fix those drains which is a very popular way to correct basement flooding as well, but on this video we are going to talk a bit more about the interior waterproofing and some of the things you can do. So let's talk about one of the most popular do-it-yourself basement waterproofing projects and that's basically using a paint, or a waterproofing epoxy, on the inside of the walls. Now you gotta be careful with this approach because depending on how much hydrostatic pressure is being pushed through that cinder block or that concrete, the paint or the epoxy may not be able to keep that water out. And also the application of that paint or epoxy is very very important if you look at center block is very porous, so you’ve got to make sure that you cover every little bitty hole and cinder block in order to keep the hydrostatic pressure from pushing through. One of the things you may just have to realize, is if you're going to use a paint or epoxy, its gonna probably be an every one to two year project. So just keep that in mind. If you decide to do that on your own and if you got a lot of water coming through at the base where the where the wall meets the slab, then an epoxy or paint may not get it done you may have to go with an interior trim. Another very popular, or becoming popular way to address waterproofing on the inside if you're doing it yourself, would be with a concrete sealer. Concrete sealer is a little different from a paint or an epoxy, and what it does is it actually molecularly changes the cinder block or the concrete to make it less porous. So those are some combination of ways that you can do these kind of projects yourself. Now next I'm gonna talk about some things which could be a do-it-yourself project but it just depends on your your skill level, because these will require possibly jack hammering out the slab and doing some different things like that. Ok, one of the first parts of interior waterproofing if you’re going to go with the french drain approach would be the french drain. Right now this is a very very popular product is called Easy Flow™. What makes this unique is that actually has the aggregate already attached to the pipe. Ok, so it's very easy to install in most cases and you've got the silk filter here to keep soils and things like that out. Some companies will do just a corrugated pipe without this and then filled with gravel around or wrapping corrugated pipe in a sock. We just find this is a better alternative to that approach. This will either come at three inch or a four-inch diameter depending on how much water flow you need and then this gets put underneath the slab, after you jack hammer it out, and get out all the debris out, gets put underneath the slab and then this runs either outside of the basement to a slope or into a sump pump to pump the water out. So this is a good way to do an interior drain with a French drain system. There's some better things out there, because one of the things that makes this product have a downfall to it, is that has the water table rises, the water goes in, and as the water table falls, the water comes out. So it actually allows for the water to move in and out freely, but there are some products out there that once the water goes in, it keeps the water inside, and that's what we'll be talking about next. So this is what's called the No Water™ interior basement waterproofing system. This is actually a patented system, and it's one of the newest patented products that are on the market. And this is the product that got me really excited about doing basement waterproofing as a professional. Being able to offer a great warranty and things like that. Some of the other products on the market make a lot of great claims, but they just don't deliver. So when I found this product, this is the one we used the most. The No Water™ system is just what it says. It's basically like a gutter around your house. As I mentioned before with a corrugated pipe, you can imagine having a gutter around your home that has holes in it, so that the water you know goes into the gutter and then it's just able to be dispersed anywhere it wants and chances are it's not going to make it to the downspout. With the No Water™ system once the water enters the No Water™ system, it will take it to the sump pump or to the exit point guaranteed. Because once it comes in, it's not getting out of the system. So it's a totally closed system. This bullet track goes on top, so that way as you can see, it's got ways for the water to come in whether it's coming this direction or whether it's coming from the back, or however the water needs to get inside the drain it's going to get inside. So this is installed right on the footer underneath the slab and then you put the aggregate around it and then it serves really well. The other nice thing about it is you can put a clean out if you want to go from above and leave a small clean out area so you can blow this out every once in a while if you need to that's a possibility. But it's just a really great system. It's a closed system and comes with a wonderful warranty, so if you're looking to do a permanent fix on the interior I recommend the No Water™ system, its great. Well, that's all I got to talk about for now for interior basement waterproofing in Knoxville. I hope this video kinda helped, of course if you already knew all this I do apologize I was hoping I could share a nugget of information. Please comment down below if you have any suggestions on how we can improve our videos or any way that I can improve the information that I just left for you. We just want to be a good source of information for all of you out there and I hope you like this video down below. And of course shared through social media, either through Facebook, LinkedIn, Twitter, things like that it really helps us a lot. And we really appreciate you, and your comments, and everything. And subscribing to our channel. There is a place to subscribe to our channel right now here in the corner. Or of course you can go to Very Healthy Home or Crawl Space Ninja on YouTube and subscribe there. Hope you like this video. And again I’m Michael Church with crawlspaceninja.com and just let me know if I can help you out. I liked your idea to use a concrete sealer when waterproofing my home. It’s really interesting that it’s made to molecularity change concrete to make it less porous. I thought that it works as just a coating that prevents liquids from breaking through to the concrete. Having the concrete in my basement sealed seems like a great way to keep it dry, so I’ll try using it in case there’s a flood. Thanks for the tips! Thank you Deanna. Please keep in mind that not all concrete sealers perform as stated in the video so checking with the manufacturer is recommended. Also, using a concrete sealer and basement waterproofing paint or epoxy together should add another layer of protection. Do you have a cinder block waterproofing epoxy or paint you like to use in your business? Hi…informative post. I enjoyed the way you set up the information. Thank you so much Kalyan. We are glad you enjoyed it. Thank you for all of the insight about basement waterproofing! I didn’t know that there were so many DIY options out there, however, you talk about how it’s easy to get concrete sealer or other products to do the job. Despite this, though, I would think that it might be in every homeowner’s best interest to get this job done professionally. 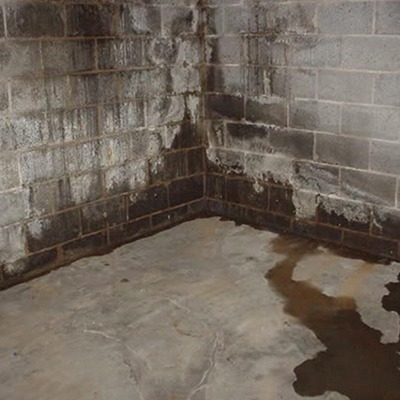 You don’t want to risk your basement flooding again or even at all, so calling in a professional to do this waterproofing for you can save you a lot of time and stress in the long run! What do you think? Thanks for the help. That’s a very good point Lauren. Thank you for the comment. Wonderful article with useful stuff. Thanks for sharing valuable content here with us. Thank you so much. Glad you found it useful!